Our new website is up and running. 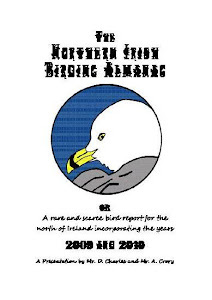 It features published records of Rare birds in the Province up to 2009, the last time there was a Rare Bird Report from the Northern Ireland Birdwatchers Association. 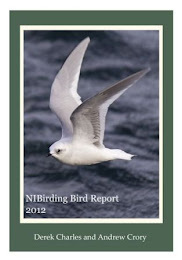 We will update the website as and when there are more published records of Rare Birds in the period 2009 to the present. 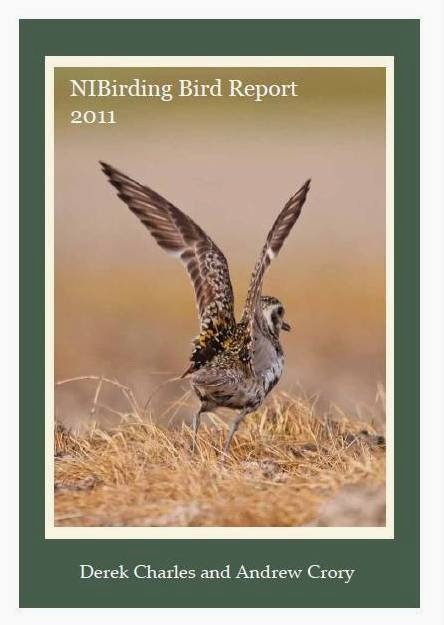 We also have Scarce Bird records from 2009 to 2018 and again will update as and when required. 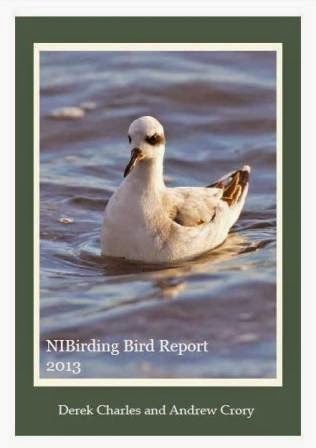 With both sections we have included observers something that hasn't been done since the 1981 Northern Ireland Bird Report. One: Belfast Lough, County’s Down/Antrim, 1st September 1956. Ruttledge 1958. One: Copeland Islands, County Down, 27th August 1958. Ruttledge 1959. One: Kinnegar, Holywood, County Down, 6th September 1958. Ruttledge 1959. One: Immature. Quoile Pondage NNR, Downpatrick, County Down, 27th February 1973. Preston 1973. One: Immature. Portstewart, County Londonderry, 28th March to 14th April 1974. Preston 1976. This first winter bird was at Greencastle, Lough Foyle on Sunday. 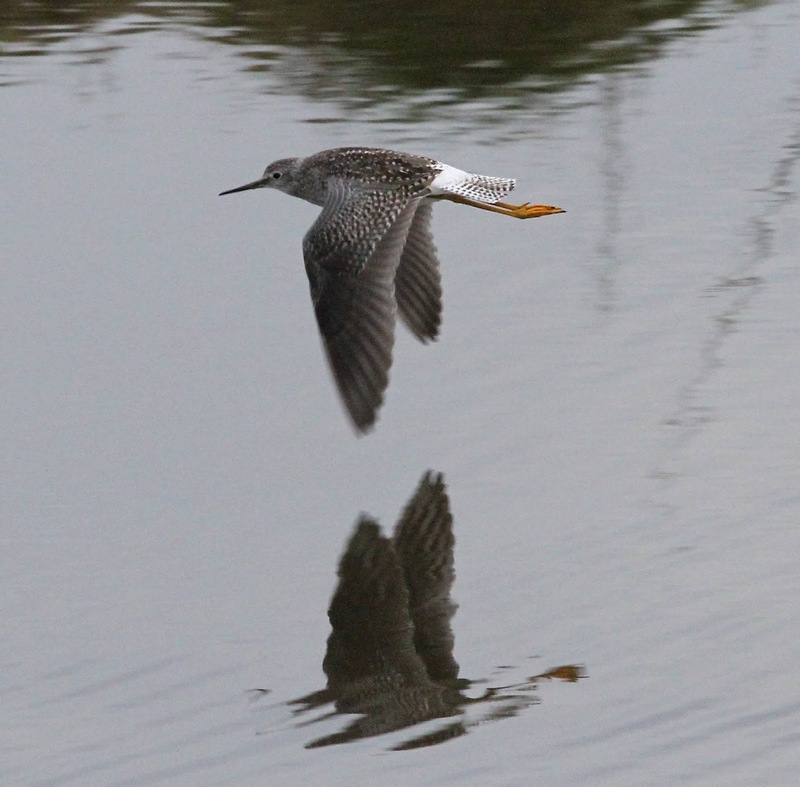 The rather delightful Lesser Yellowlegs found by Derek Brennan on Friday was in the channel at Myroe all weekend. The 18th Lesser Yellowlegs for Northern Ireland the first record was a bird at Lough Beg on 24th May 1958! 1999. One: Juvenile. Myroe Levels, Lough Foyle, County Londonderry, 10th to 19th October (Davy Hunter et al.). NIBA 2001. One: Balls Point / Roe Estuary on 7th and 8th December 2001. One: Juvenile. Bann Estuary, Coleraine, County Londonderry, 24th to 30th August (W. Laird et al.). NIBRC 1982. One: Lough Beg NNR, County Londonderry, 22nd April to 10th May (Matthew Tickner et al.). NIBA 1993. One: Adult. Church Island, 9th September (David Steele, Laurence Morgan et al.). NIBA 2001. One: Adult. Mullagh, 17th to 24th September (David Steele, Laurence Morgan et al.). NIBA 2001. One: Adult. Lough Beg NNR, County Londonderry, 3rd to 17th June (Matthew Tickner et al.). Fahy 2010. A male Ring Necked Duck had returned to the Quoile Pondage, Downpatrick yesterday spending most of the time just off the hide with a small flock of Tufted Duck. This individual first appeared as a first-winter at Lough Cowey, Portaferry on 1st January 2011 and has returned to the lakes around County Down every year since. 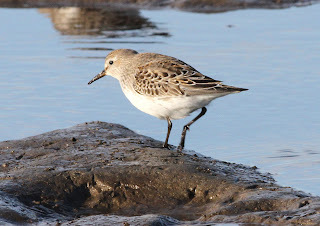 Its first appearance at the Quoile was on 21st October 2011 when it only stayed two days. It wasn't seen at the Quoile again until 23rd May 2014, wasn't seen in 2015 but reappeared on 22nd November 2016 and has been annual since. Ring Necked Duck is a rare bird in County Down with below the only published records probably only involving five individuals. One: Female. Corbet Lake, Banbridge, County Down, 24th January to 2nd March (Graham McIlwaine et al.). NIBA 1992. One: Female. Shanrod Lake, Banbridge, County Down, 13th March (Graham McIlwaine et al.). NIBA 1992. One: Male. Ellis's Gut, Lough Neagh, Lurgan, County Down, 12th to 27th May (Oscar Campbell). 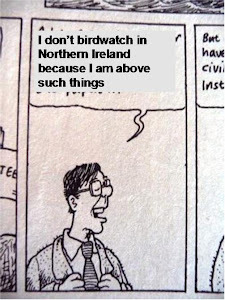 Irish Birds 1993. One: Male. Ellis’s Gut, Lough Neagh, Lurgan, County Down, 5th to 6th May (Chris Murphy). NIBA 1993. One: Male. Lough Money, Downpatrick, County Down, 14th February to 5th March (Geoff Campbell et al.). Milne & O'Sullivan 1998. One: Male. Ellis Gut, Lough Neagh, County Down, 23rd May (David Knight). NIBA 1999. One: Male. 6th February (Ian Jackson). NIBA 2000. One: Male. 15th to 25th December (Ian Jackson et al.). NIBA 2000. One: Male. 1st January (David Nixon). NIBA 2001. One: Male. 13th to 23rd January (David Nixon et al.). NIBA 2001. One: Male. McAuley’s Lough, Dromara, County Down, 10th January (David Nixon). NIBA 2001. One: Female. Quoile Pondage NNR, Downpatrick, County Down 22nd November into 2006 (David Knight et al.). NIBA 2008a. One: Female. Quoile Pondage NNR, Downpatrick, County Down, 1st January (David Knight et al.). Milne & McAdams 2009. 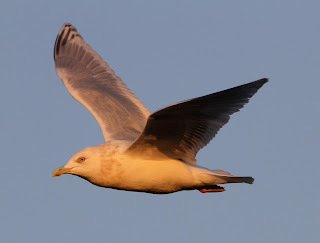 This adult Kumliens Gull has chosen to spend another winter at Moville!